The 3.8 billion people who make up the poorest half of the world saw their wealth decline by 11 per cent last year while billionaires’ fortunes rose 12 per cent – or $2.5 billion a day, an Oxfam report published today reveals. Public Good or Private Wealth? describes how decades of progress in reducing global poverty has slowed and is being undermined by the growing gap between rich and poor. The report, published as political and business leaders gather in Davos for the World Economic Forum, finds that 26 people now own the same wealth as the poorest half of the world – down from 43 in 2017. Many governments are exacerbating inequality by failing to invest enough in public services that are key to reducing it, the report says. 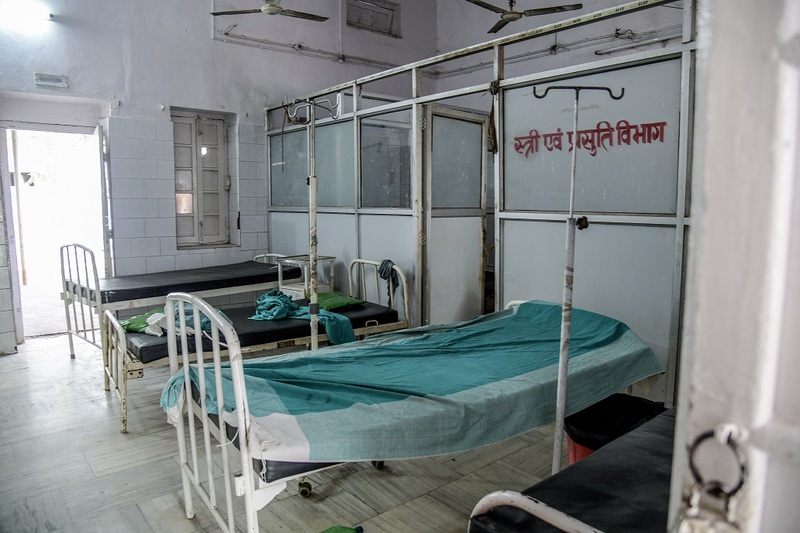 Every day, it is estimated that around 10,000 people die for lack of healthcare. There are 262 million children who are not in school, often because their parents can’t afford the fees, uniforms or textbooks. The report calls on governments to do more to fund high-quality, universal public services through tackling tax dodging and delivering fairer taxation, including on corporations and the richest individuals’ wealth, which are often under-taxed. Oxfam is warning that unless governments act to reduce inequality, the global goal to end extreme poverty by 2030 will remain out of reach. A recent World Bank report found that the global rate of poverty reduction almost halved between 2013 and 2015 compared to the 25-year average, and the number of people in extreme poverty is rising in sub-Saharan Africa. Nearly half the global population – 3.4 billion people – are barely scraping a living on less than $5.50 a day. The International Monetary Fund (IMF) has shown there is significant potential to raise more tax revenue from businesses and the wealthiest people. There is growing support for wealth taxes from across the political spectrum, including IMF boss Christine Lagarde, the Archbishop of Canterbury, former Conservative minister Lord David Willetts; and former deputy governors of the Bank of England. In 2015, just four cents in every dollar of tax revenue collected globally came from taxes on wealth such as inheritance or property. If the world’s richest one per cent paid an additional 0.5 per cent tax on their wealth it would raise an estimated $418 billion a year. This would be enough to educate every child currently not in school and provide healthcare that could prevent three million deaths. Oxfam is urging governments to provide universal public services that are key to reducing inequality and poverty. Public Good or Private Wealth? shows how taxing wealth at fairer levels and avoiding a race to the bottom on corporate tax, as well as tackling corruption, tax dodging and debt, could help governments to provide universal public services. In addition to tackling inequality at home, developed nations currently failing to meet their overseas aid commitments could raise the missing billions needed to tackle extreme poverty in the poorest countries by increasing taxes on extreme wealth. While some developing countries have made significant improvements in healthcare and education over recent decades, progress is patchy. Services are often very basic, with under-staffed clinics lacking medicines, and schools without running water or qualified teachers. In some places people who can’t afford their emergency medical bills are detained in hospital until their relatives can find the cash, leaving families indebted and impoverished. In poor countries, a child from a poor family is on average twice as likely to die before the age of five than a child from a rich family. Photos available for download: An Indian mother who struggled to get decent public healthcare during her pregnancy and labour. Oxfam’s report ‘Public Good or Private Wealth?’ and methodology is published online. Oxfam’s calculations are based on global wealth distribution data provided by the Credit Suisse Global Wealth Data book published in November 2018, which relate to the period June 2017-June 2018. The wealth of billionaires was calculated using the annual Forbes Billionaires list last published in March 2018. See the methodology for more details. Every year, Oxfam’s calculations about how many people own the same wealth as half the world are based on data available at the time. Credit Suisse has improved and expanded its data set, which means we can recalculate our figures for previous years. We can now calculate that last year 43 people owned the same as half the world. This year it’s 26. The year before last it was 61. The World Bank report Poverty and Shared Prosperity 2018 found that global poverty declined on average 1 percentage point per year between 1990 and 2015, but only 0.6 percentage points per year between 2013 to 2015, and may be further slowing. There has been support for wealth taxes from IMF chief Christine Lagarde; the Institute for Public Policy Research Commission on Economic Justice, which includes the Archbishop of Canterbury Justin Welby and senior business figures; the Resolution Foundation, which is chaired by former Conservative MP Lord David Willetts; and Bank of England former deputy governors Rachel Lomax and Sir Charles Bean. A paper published in The Lancet calculated excess mortality (deaths that could have been averted in settings with strong health systems) in 137 low and middle-income countries and found that 3.6 million were due to non-utilisation of healthcare – an average of 9,863 per day. Access to and quality of healthcare are both extremely important in improving public health. UNESCO’s Global Education Monitoring Report 2017/8 found that 262 million children are not in school. The Lancet Global Health published evidence on child mortality rates and found that in developing countries, a child from a poor family is on average twice as likely to die before the age of five than a child from a rich family. The IMF 2017 Fiscal Monitor looks at ways governments can raise revenue to reduce inequality. The UN estimates that tax avoidance by businesses costs developing countries $100bn a year. Economist Gabriel Zucman estimates that the world’s poorest regions – Africa, Asia and Latin America – lose $70bn in annual revenue due to wealthy individuals’ use of tax havens.